Is Naples safe? Learn the truth and everything you need to know! Is safety in Naples an issue? Places to avoid in Naples… what? One of the questions that travelers who want to visit the South of Italy ask me never changes. Is Naples safe? For real? Being a female blogger from Naples, born and raised in this city, I get a lot of questions about the safety in Naples, the garbage, or even if my city is worth a trip… “all things considered”. But is it really? Let’s see what to expect from a trip to Naples, how to enjoy it properly, and how to feel safe, in a city that is considered to be one of the most beautiful in Europe. If you have been following this blog for a while, you probably already know that I live in Naples and that I love to tell stories about the most uncommon aspects that not many people know about my city, as well as showing you all the best things to see in Naples. Unfortunately I often have to deal with either rudeness, by people who haven’t even visited and pretend to know more than me how people live here, or disbelief at the fact that I feel safe also while walking in Naples at night on my own. 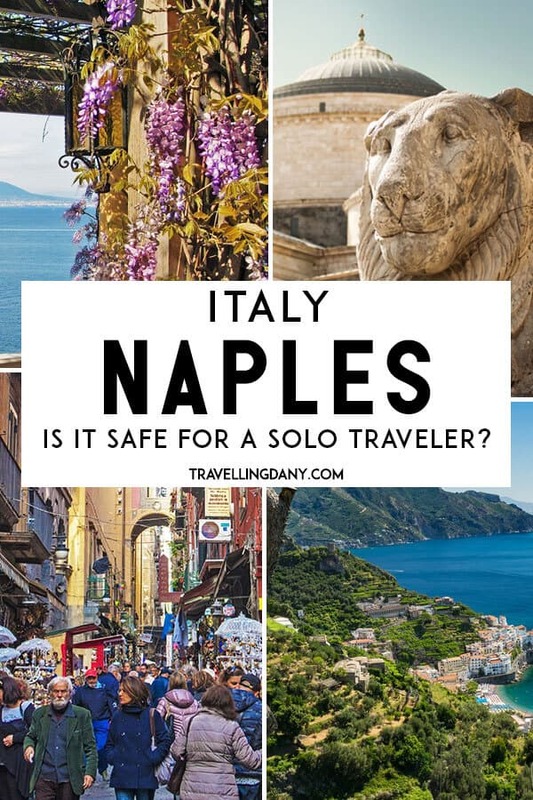 It happened on my cruise with Norwegian Cruise Line, when a British journalist refused to visit Naples because she deemed it “unsafe”, but it’s a common occurrence also in my everyday life as a travel blogger. I keep reading, both on magazines and online forums, posts about the lack of basic safety, how we live in the dirt, how dangerous it is and what are the places to avoid in Naples (most of the areas, as if it’s only safe to teleport to Piazza del Plebiscito straight from the airport). Being Neapolitan, I find it very humiliating, even the more so when people say my opinion doesn’t count because I’m biased. Or because we tend to only focus on the positive aspects of living in Naples. Yet tourists often feel worried and ask me where to sleep in Naples, because they want a “safe” neighbourhood: the issue is real. Sure, there are amazing Naples cafe hidden in the narrow vicoli: but does “narrow” and “old” mean “dangerous“? The truth is that in Italy we are our own worst enemies. Not only we don’t know how to appreciate what we have… but we often focus on the worst aspects. We tend to complain a lot, making things worse when probably they are just a blip on the radar. For us it’s normal by now, even because we never compare ourselves to other places in the world. But to a foreigner this might seem weird, or even worse, undermine their safety, scaring them away. We are basically feeding the online trolls and the fake news without even realizing it. Will you visit Naples in Summer? Check out what to pack for a summer trip to Italy! So let me be completely honest about what you should expect from a trip to Naples, data at hand. 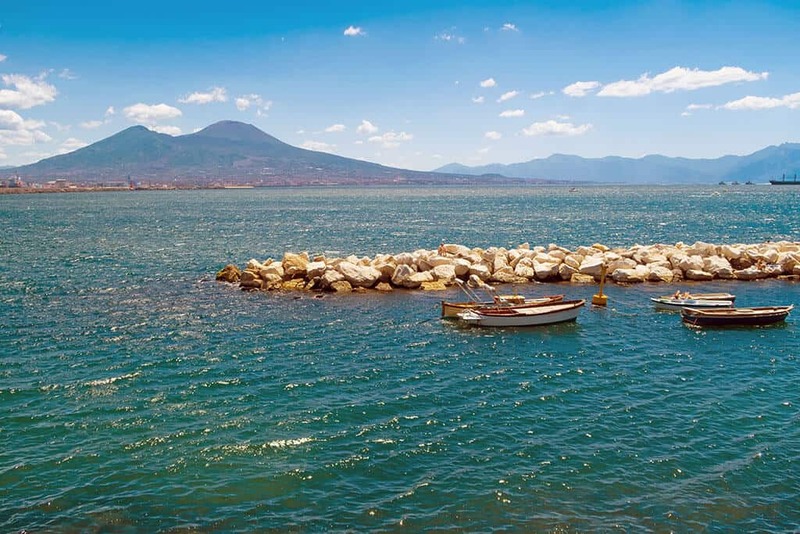 Mount Vesuvius is the perfect background to Naples! 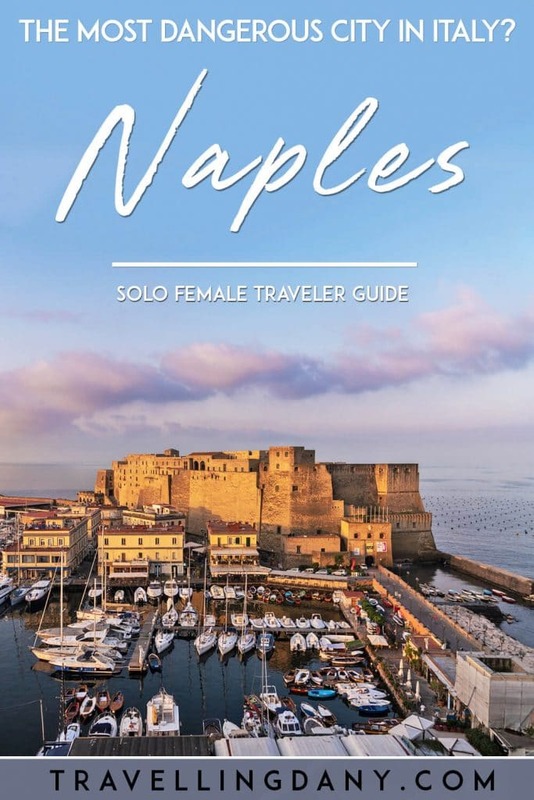 Many solo female travelers are worried about visiting Naples because my city gets thrashed online (like… a lot). 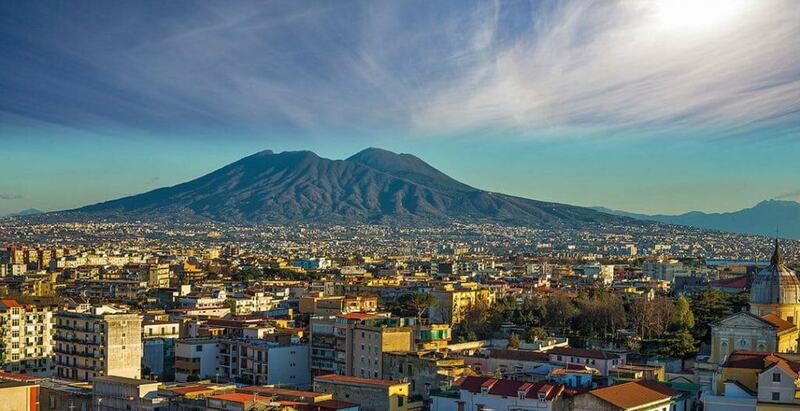 According to the British magazine The Sun, Naples is one of the 10 most dangerous cities in the world. The article, full of lies, became viral and when the Mayor of Naples, Luigi De Magistris, threatened to sue them, they removed quietly Naples from their list. Of course they never issued a public apology for what they wrote… and because lies spread faster than truth, many people believed to what they read. Some here blame it on Gomorra – la serie (Gomorrah), an Italian crime tv series based on the book Gomorra by Roberto Saviano. The series, set in the suburbs of Naples, focusses on organized crime and has been a success also abroad. It is, basically, the Neapolitan version of Sons of Anarchy… without the cool motorbikes. But while some might feel scared that they’ll meet Genny Savastano and his camorristi as soon as they get off the train in Naples, the truth is that the stereotypes and the fake news have nothing to do with Gomorrah. The pictures of the Naples garbage years ago have marred the reputation of our beautiful city. Even if things have changed a big deal these last years, not many journalists have rewritten their articles. As a travel blogger my priority is to offer updated, true information to fellow travelers who want to see the world. Yet the media unfortunately often rely on old sources, scaring away people with outdated info. The only thing we can do to protect ourselves and make sure we aren’t lied to, is fact checking. I promised to be completely honest, and that’s the truth of things. Not everyone in Naples knows how to live in a civil way. They still litter the city, making it difficult to keep it always clean – this gives weapons to the critics and doesn’t help us at all. Some areas of Naples can be still dirty (not as they were years ago), because of a number of strikes and incivility. We are doing our best, but it will take time. I can tell you that no one in Naples wants to live in the hell that we’ve been through years ago. 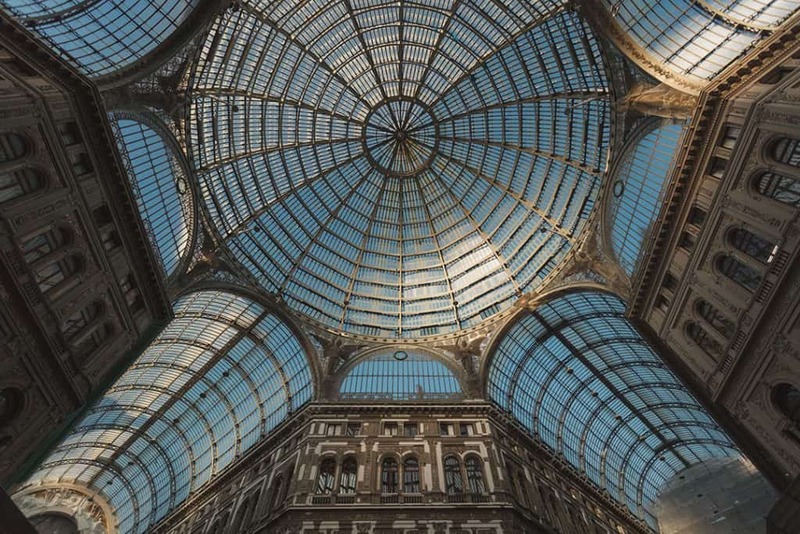 According to the crime statistics issued by the Italian Ministry of Interior and published by the magazine Il Sole 24 ore, Milan is the most dangerous city in Italy. Naples is only the fourth, after Rome and Torino, in the top ten of the Italian cities where more crimes were committed. Does it mean that we should be too scared to visit Milan as well? Or Rome? Travel agents, as you can see for yourself just by googling a bit, often scare away people who want to visit Naples. Maybe they’ve never even been there, but why bother? They tend to send tourists always to the same destinations in Italy… generally Florence, Rome, Venice or Milan. As if only the upper half of Italy is worth a visit, while the South can be just disregarded. 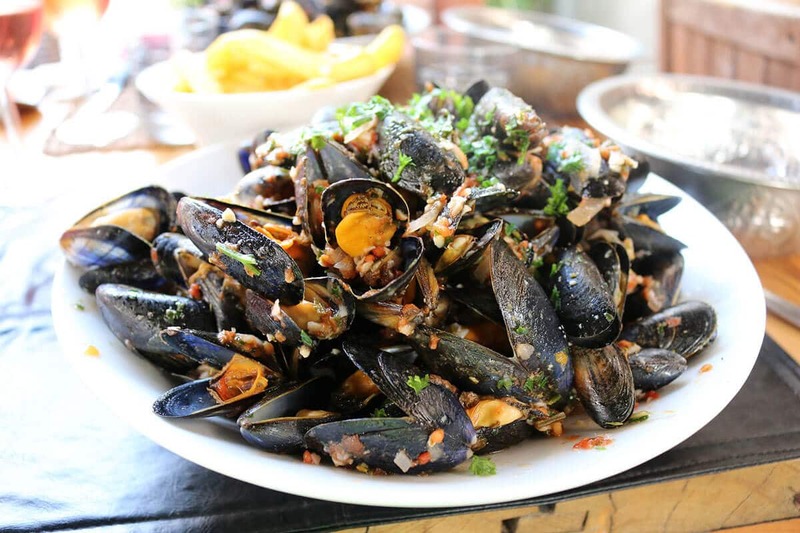 This makes me think of the amazing beaches in Sicily and the delicious Sicilian food. They have no idea how much they’re missing out! Because Naples is a big city, of course we do have a problem with crime. Just like any other big city. To increase the safety in Naples, there are a lot of police agents, carabinieri and even soldiers roaming the streets to make sure to prevent crimes or offer immediate assistance to the citizens. We all would like to live in a world where these measures aren’t necessary, but all the honest citizens in Naples are working pretty hard to improve our city. All we need, more often than not, is being given a chance. What can you do to help? Being a street smart traveler can make the difference. Horror tales about the Spanish Quarter have been going on for years, both in Italy and abroad. Located in the Old Town, this area was built in the XVI century to host the Spanish troops that had to contain rebellions. Us Neapolitans have always been a particularly loud and proud bunch, so the Spanish King was scared we’d kick him out of the city! Since the beginning, the Spanish Quarter has been a place where crime and prostitution were the norm. Soldiers wanted to have fun, after all. Even if there were laws to keep things under control, no one really cared. Throughout the years this part of the city has always been particularly difficult. In the recent years, those living in the Spanish Quarter have started not only to clean up their narrow vicoli, but also to make it more livable for everyone. The rent is cheap, so many students, also from abroad, have moved to the Spanish Quarter, because it’s close to two of the best Universities in Naples, Federico II and Seconda Università degli Studi di Napoli. New shops and restaurants are opened every month and there are tiny fish markets or farmers’ markets every week. The area still keeps alive its traditions, the artisans shops and the Neapolitan folklore. You can see one of the entrances to Quartieri Spagnoli from the posh Via Toledo. It’s easy to spot it, as there’s a big, colorful sign indicating that yes, this is the Quartieri Spagnoli, where the fun begins. The tiny flags from all over the world show that everyone is welcome. Neapolitans are very open minded and welcoming. While in many parts of the world the LGBTQ community was oppressed and called names… in Naples we were just dumbfounded: why on Earth were people behaving so weirdly over such a normal thing? Back in the day (and I’m talking really ages ago), gay people in Naples were (they still are) an important part of our community. Our local dialect named them “femmenielli” (mostly referring to gay men) and they were believed to bring good luck, so everyone loved them. In Naples Old Town, in the narrow vicoli that today scare people away, we always had a good word for everyone, and some good food that we were ready to share. Regardless of the race, gender or religion. It’s not uncommon to find an amused crowd of curious tourists taking pictures at the entrance of the Quartieri Spagnoli in Naples. To get there you can use the Naples Metro to Toledo Station (the most beautiful one in Europe): you will immediately spot the colorful signs on the other side of the road. While we’re used to it, those who come from abroad find the contrast between the international, expensive shops on Via Toledo, and the artisan shops in the narrow vicoli, particularly impressive. That being said, even if the area is always pretty crowded, there might be pickpockets, so make sure you are aware of your surroundings. 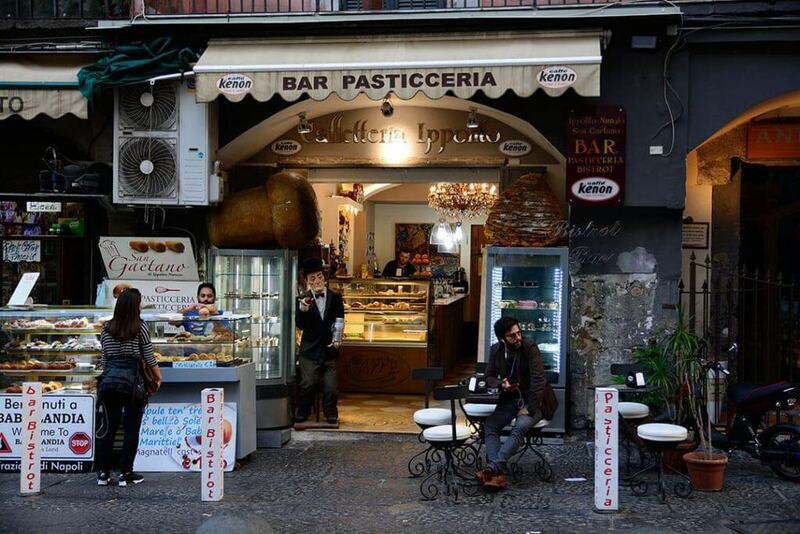 A typical pasticceria in Naples: does it look dangerous? 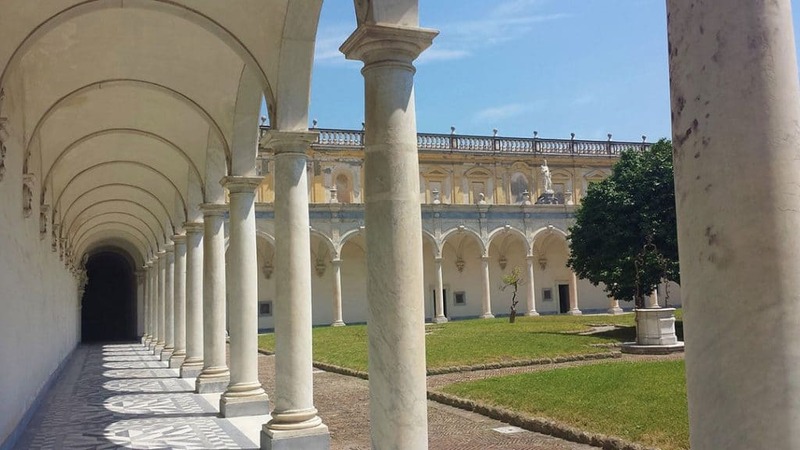 If you search online you will probably find more articles about the dangerous, scary places where not to go in Naples than about the rich history and the monuments in our city. What I always find fishy is that more often than not they are written by people who haven’t been here for long (is a long layover enough to define yourselves experts about Naples?) or who have been to Naples many years ago. The crime in Naples is just like any other big city. Especially in the city center, there’s nothing to worry about, if you are aware of your surroundings. Heck, if even the “hellish” Spanish Quarter has become a touristy area, what are we even talking about? Unfortunately when people arrive in Naples with a preconceived idea, everything, even a lesser crowded alley, can become dangerous. And even a couple of thrash bags (the garbage service picks them up early in the morning… unless there’s a strike) become a garbage problem. Narrow vicoli and old buildings are what makes Napoli. Some find that the Old Town is scary. So places like Christmas Alley, that you can see also in our Youtube video, should be a place to avoid at all costs because it clearly is “awful”. Have you watched the video? Can you honestly tell me there’s something scary about that area? The truth is that some areas in the outskirts are still dangerous. Places like Scampia or Secondigliano, in the extreme outskirts of Naples, have a huge drug problem (and unfortunately not only that). There are honest citizens fighting against drug dealers every day, and they’d desperately need some help from our government (still waiting for it, by the way). Yet if you are a traveler and are looking for monuments, castles, museums, fun places to go, you won’t find any in these areas. So why should you even think of going there? More often than not planning a “unique trip” because you want to see the drug areas in the outskirts is not a good idea. It’d be like going to a place where bears hunt, hoping to take a selfie with a grizzly… the number of bear accidents happening every year should give you a clear idea of how that isn’t smart. At all. As a Neapolitan and a female traveler, Scampia and Secondigliano are the only two places where I wouldn’t go alone, especially at night. So my list of places you should avoid counts… just two places, far away from the city center. Impressive, isn’t it? One of the areas tourists complain about is the Central Station in Piazza Garibaldi at night. There’s a high concentration of homeless people (from all over the world), and yes, it can look scary at night especially if you don’t know the city or if you are expecting murderers behind every corner. Me and Aldo have been traveling a lot and we have found similar areas in many other big cities in the world. Even Milan and Rome have spots where there are many homeless people. Does it mean that you will get raped/robbed/killed as soon as the sun sets? Of course not. If it makes you feel safer, just avoid this area in the evening. Not all homeless are dangerous, yet some might be intoxicated and they might scare you. As I already mentioned (quite often, I know), we are very friendly in Naples. We love to get to know new people and… well, men can be particularly flirty. It happens a lot in Italy, but in Naples men tend to compliment, smile and try to woo us girls… more than they do in other parts of the Country. They aren’t dangerous: if you ignore them they will go away, no hard feelings. After so many years I can honestly say that some men here flirt almost… out of reflex! We love our city and we always want to make sure that tourists have fun. It’s not uncommon for us to stop and offer our help if we see someone who looks lost. So if you don’t know where you are, don’t be shy and just ask away. Even if English is not widely spoken in Naples, we will still find a way to help. It’s just the way we are: we wouldn’t feel right otherwise! Besides, you could even learn a word or two of our dialect in return! Neapolitan dialect is completely different from Italian, and it has many similarities with Spanish, Portuguese and a bit of French. Not only difficult to speak properly, but extremely difficult to write! But still… Italians love the Neapolitan dialect, to the point that many of the most famous comedies in our Country are based in Naples or have at least one character speaking our dialect. I promised you to be honest and thus let me help you with a few “safety tips” that I generally apply to all of my trips, not only to my hometown. These are general suggestions that will be helpful everywhere you go! Do not wear expensive jewels, expensive watches or walk around waving the latest iPhone or camera like there’s no tomorrow: would you do that in every other city? Be extra careful when you cross the street. And I mean… extra careful! We can be messy when driving and when scooters and cars don’t respect the road signs, it can be dangerous. Someone once said that people in Naples drive like we are F1 pilots: it’s absolutely true! Last but not least… please, visit Naples with an open mind. It is a complicated, beautiful city which has its problems. But yes, Naples is worth the trip, I promise! 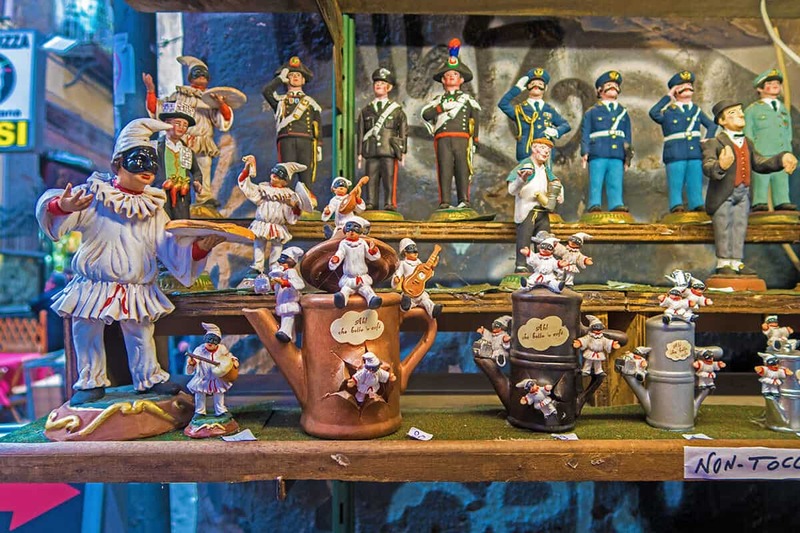 In case you’re planning to visit Italy, here you can find a handy guide to souvenir shopping in Italy! It is very good that you have removed preconceptions of mine before visiting Naples. I did not visit Naples during my Italy visit, but now I can think of, after reading your write-up. To be honest. even though I have been to Italy many times, I never considered a visit to Naples for the safety related reasons. I always think it is better to skip the place than to visit it with constant worry. 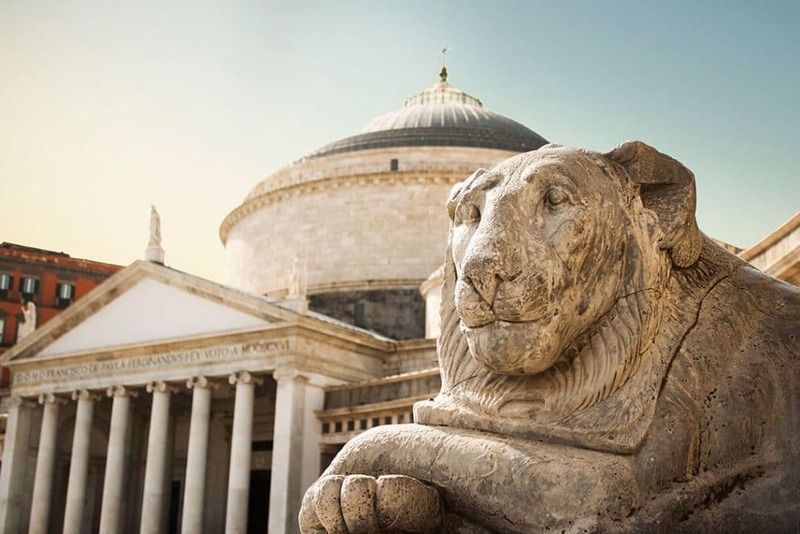 Your post however makes me realize I was also among the prejudiced ones and will think of including Naples in the itinerary during my next visit to Italy. Dany, You are so right about Naples’ reputation. I’m glad that you have debunked it and given us some take away good, safety tips. Those tips, btw, can be applied to every good size city where crime can happen at any time. You’re absolutely right Corinne! I use the same kind of behaviour in every big city I visit! I visited Naples many years ago, but it was just a stop over on my way to Pompeii. I will say that I stayed overnight at a hotel by the train station and it did seem a bit sketchy. But like you said, I think that is the case in most major cities. I would never say not to go to Naples. I would just say to be careful and aware like you would any other place. Maybe I’m completely out of the loop, because I had never heard that Naples is considered unsafe. However, it sounds lucky that I haven’t heard it because they appear to be very jaded reports. It sounds like it requires normal common sense like any other area of the world when traveling. Yes, definitely! I use this kind of “safety tips” everywhere I go! Indeed, the photo of the garbage had a terrible effect on me. I was so impressed, that I crossed Naples off my list. However, now I understand we shouldn’t trust media and negative publicity that much. I’m happy I’ve found your article. Now I’m willing to see Naples. its seem you enjoyed your trip in naples, next month i am going with my family in naples so concern about tour and places. I will stay for 7 days so planning to go to nearest place so safe handed would be perfect with my family if we go all together. Thanks for sharing nice trip experience. I live in Naples so it wasn’t a trip 🙂 You can find many interesting articles here on my city that I hope will be useful for your trip. Have a great vacation with your family! This is such a candid and much-needed post to bust all the myths being propagated about safety in Naples. I have seen this being done with many other places too. The media is always on the lookout for negative news and never bothers to correct itself. Naples is such a lovely destination and one of the regions of Italy that we would love to explore, hope to get there soon, till now have only been to Venice, Rome, Florence, and Pisa. The media should check their facts before to start spreading lies, but I’ve seen it first hand that some journalists prefer an old “scoop” that can turn into a viral scandal in stead than finding out the truth. I hope you get to visit one day! We are from Chicago, what is widely known as the murder capital of America, so I totally get it! Don’t get me wrong, there is always a chance of something happening especially in a big city but for the most part, Chicago is safe. There are areas to avoid and basic things not to do like walk down a dark alley by yourself at 3am but it has so many beautiful things to see and nice people around so it’s a shame for people to skip out because of its bad rap. Thanks for opening our eyes about Naples as well! Too bad Naples has been affected by fake news, TV influence, and olden days of neglect. As for me, I’ve never heard that Naples is unsafe and would go visit. I’ve only seen pretty pictures of this charming city. I’m glad that you’d still visit and knowing your love for the sea I’m sure you’d enjoy yourself in Naples! Thank you so much for writing this!! I have heard for years about how unsafe Naples is. I also have friends who lived there 20 years ago in one of the unsafe areas and had a horrible experience, so that colored my perceptions as well. But like you said, every big city has its problems. I work in Washington, DC, which is known for being very wealthy and beautiful, but the poorer districts of the city have extremely high murder rates. I want to visit Naples because it’s the only big city in Italy I haven’t been to yet, and I hear it’s got the best pizza in the world!! Great post. It is so difficult for a city to turn around its reputation after it has been maligned. But, you are doing a great job of explaining the good and bad of Naples. As with most big cities, there are areas of town about which you need to be aware of pickpockets etc. It is great to hear that Naples is getting cleaned up and working to improve its reputation to the outside world. I’m doing my best, but not everyone is willing to visit with an open mind. The bad press and bad experiences of visitors 10 years ago still stick to the perception they have of Naples today. I think it’s my duty as a citizen who loves the beauty of our land to show it to the wanderlusters from all over the world! I’ve never visited Naples. Like most big cities, I’m assuming there are both good and bad parts. It will definitely not keep me from going. Men flirting is a tricky and an uncomfortable situation. Does that happen often? The driving is not daunting for me, given that I live in Asia. I had seen so much that was negative about Naples, but we decided to visit anyway. We LOVED the city. At no time did we feel threatened or unsafe. I am sure that it is just like any other city in the world. I really don’t know why it has such a bad reputation. Go and visit Naples. It is a beautiful city with great food, stunning architecture and friendly people. Thank you very much for giving Naples a chance also if you read bad things about us! I’m very glad you enjoyed the city! So nicely written! I actually never heard about Naples being unsafe. I haven’t ever looked though either, so that could be why. But kind of like you said, be aware of your surroundings! Any country or city can be deemed dangerous and people are usually okey if they follow your safety tips! Thank you for this encouraging post. I do believe that we need to only take precautions and with that every city can be safe. Good to know that it is like any other place. The myths that you busted and the tips are going to help all other travelers. I have always heard a lot of mixed things about Naples. I would love to go as I never feel afraid of cities, such of the people! I think it must have a bad rep and stick to the safer areas and we’ll be fine. Yeah unfortunately it seems that bad press sticks with us! I agree that you’ll be fine tho! I have visited Naples 2x; once by myself, the second last fall with my the two visits were several years apart and both city charged entertainment. Both visits were preparation for Pompeii and required the Natl Archeology Museum. In just overbite visits there were fireworks from the neighboring church, dinner with neighbors at a street side restaurant where we joined in on birthday wishes, and bus rides around the city the next day. The only really disturbing sight were the refugees outside the train station, but there was no threat or danger-it was afternoon. I need to go back for a more extended stay. Naples Bay is beautiful. The city is enchanting. The people kind and welcoming. I’m SO glad you enjoyed Naples and that you decided to share your experience with us! Thank you! Very nice pictures! I didn’t feel unsafe in Naples but it was 15 years ago. Thanks for your tips. And I still believe that Naples is worth the next trip. First off, I read this because I LOVED Naples, and had no idea that there were warnings out there for people to not visit Naples. That’s so sad! Everyone who doesn’t visit is definitely missing out on amazing Neapolitan pizza amongst other things. I also had no idea Milan was the most dangerous of the Italian cities either, I haven’t been but it’s definitely on the list. I totally need to go back to Naples though, especially seeing as I missed out on Piazza del Plebiscito last time and it’s supposedly the “safest” place there, haha. Urgh The Sun is the worst English newspaper so if that said Naples is dangerous I know it is BS!! The media so often either makes things up or blows things so out of proportion, travelling in Mexico taught me a lot about believing what you read and actually going to see for yourself! Haha I guess so, even if, to prove what I’ve written in this article, I’ve received a few very nasty comments on my fb about Naples from people who had bad experiences and visited many years ago. It tends to stick with people, you either love or hate Naples. Looks like there’s no in between! Yes, I agree with you. Unfortunately some people judge the whole city because of the sketchy areas or are outright rude if I try to explain that we aren’t all criminals. The honest part of Naples is fighting very hard, but it will take time. Can I ask you where you write from? Sounds like your areas is mostly like mine! Especially about us being louder and criticizing everything in stead than appreciating what we have!